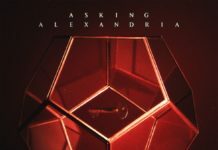 With ex-Down & Dirty/Make Me Famous vocalist Denis Stoff stepping up to bat in place of founding member Danny Worsnop, it is a huge relief to hear Asking Alexandria retain the metalcore stronghold they laid down for themselves in 2009. 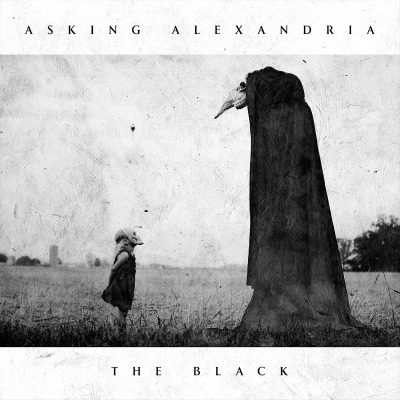 Stoff and guitarist Ben Bruce man the fort like Roman generals on The Black as it pairs roaring riffs with digital distortion to create an ambient, edgy, even warbled sound, all while still holding up the beloved Asking Alexandria aesthetic. Just as 2009's Stand Up And Scream helped lay the groundwork for contemporary electronica-influenced metalcore, The Black continues to carve out a new direction for the genre. Picking up where a Sempiternal-era Bring Me The Horizon left off (“Let It Sleep,” “The Lost Souls”) Asking Alexandria deliver a rejuvenated sound with a fresh voice that rings reminiscent of the gritty, youthful edge of their debut (“Undivided”) to the more developed, instrumentally sophisticated hard rock that crept in on 2013's From Death To Destiny (“Just A Slave To Rock 'N' Roll”). The Black is a high-energy romp down memory lane paved with a darker spin on the sounds culminated throughout the band's discography. 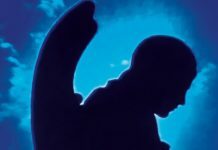 Stoff's vocal range keeps the record afloat as his uncleans convey a demonic, almost industrial flavor melded alongside the melodic cleans that compliment the backing vocals of Bruce without ringing overbearingly of the style of his predecessor. Though tracks like “Sometimes It Ends” directly state the disclaimer that The Black is not focused on the bitterness behind Worsnop's departure, many of the exasperated lyrics within the album may argue otherwise. “Every breath you take/I watch you slip away/You're slowly killing yourself” (“I Won't Give In”) or just the gratuitous amount of F-bombs dropped throughout the record show that it was fueled by a lot of pent-up anger. While more subdued, ballad-like songs (“Send Me Home,” “Gone”) take away from the ferocity of the album by adding an element of unnecessary schmooze, the rest of the record rings strong. 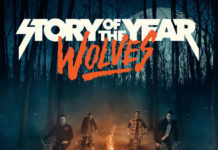 Worsnop may be gone, but the rage channeled into The Black has helped the group lift themselves back onto their feet, showing they are more than capable of carrying on without him.